cz army water bottle. Used but like new. Collectors item. Yugoslav army water bottle with holder. German Army Parka field jacket olive. accessories. We are now in the process of securing new army lines and they will be introduce in the coming weeks. An army surplus store or shop is one which specializes in military surplus equipment that was or has been used by the military but is old stock or no longer required by the Army.It can be used and sorted into grades or in some cases new surplus items .It can be anything from tents to footwear.It can be remembered that after WW2 there was a lot of army surplus on the market in the UK. Hundreds of Military Surplus shops and stores sprung up and most were prosperous right up until the late 1990's when they began to fall into decline. the pile. The stock was sold off at very low prices and today people still think of surplus stores as a cheap way to buy goods. As the stock of surplus is not so large the price of the stock increases so today the stock is not so cheap as it once was. Just after the second world war tanks , lorries and jeeps were on sale for knock down prices and were snapped up by collectors and re-enactment groups. Army Surplus falls into 3 main groups for selling. New and not issued means this surplus stock is brand new and never been worn. Grade 1 means the surplus has been worn and may have some small imperfections but in good conditions. Grade 2 has more defects and repairs but can still be used . Grade 2 is usually much cheaper than the other 2 grades. At ADVENTURE1 we stock hundreds of new items for the survivalist and adventurers. See our range of Snugpak clothing, airsoft clothing, military boots, including Lowa military boots and original swat boots. We have over 100 different styles of boots in stock. 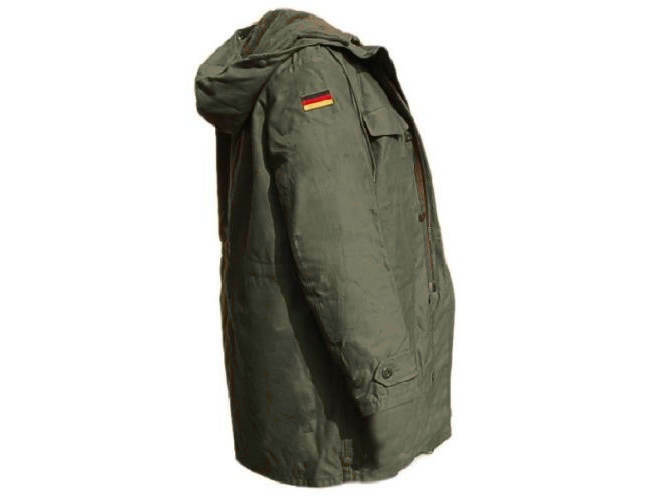 We now have a wide variety of German Army kit coming into our shop with batches of shirts, trousers, and jackets.In addition there are many accessories such as hats and belts. Our footwear range includes some of best military combat boots on sale from Lowa military boots, original swat boots, AKU and altberg both popular with the police and Military. We have one of the largest selections of survival aids and military accessories in Scotland. Come along and see us in our Glasgow store.It is packed full of all sorts of military kit and 80 different styles of footwear.We sell genuine kit from ammo boxes ,jerry cans, camouflage netting,folding shovels. We also have in stock new military equipment such as Combat Jackets, Waterproof Clothing,trousers, children's army kit , hats,jumpers, t-shirts,gloves and survival aids.